Michigan natives Rocky Loves Emily have unveiled the official cover artwork for their debut LP, Secrets Don’t Make Friends, and can be seen right here! The band is excited to roll out their full-length on April 24 through Tooth & Nail Records and we are just as anxious to hear it. Please head through to RLE’s official website and check out their countdown clock. No word yet on what happens when it hits zero, but we believe it might be a new song or additional album details! 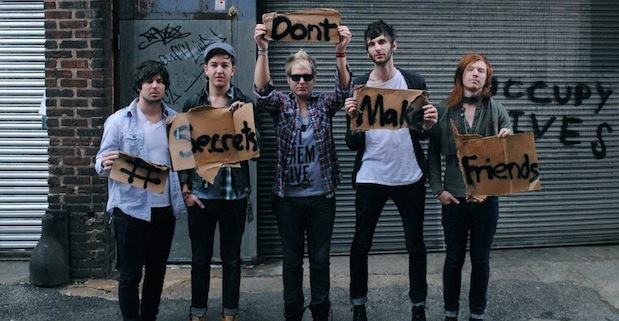 “secrets dont make friends”… says the band with the bitchiest, most dramatic front-man MI has ever produced.